One lucky team of researchers could win the $25 million Michelson Prize for developing a single-dose drug that would sterilize cats and dogs. While spay/neuter surgery is inexpensive and is considered safe, the Alliance for Contraception in Dogs and Cats acknowledges there are times when it is not appropriate. Some animals have health conditions that preclude the use of anesthesia. 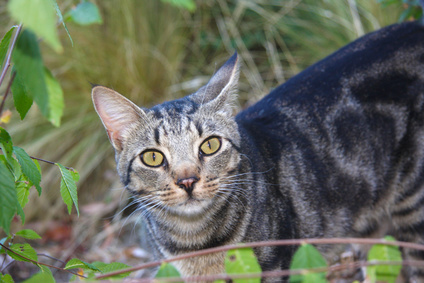 Trapping and transporting feral cats can be stressful for both the cats and their caretakers. And non-surgical sterilization could save shelters resources and money, ACC&D says. According to the Michelson Prize web page, researchers around the world have taken the challenge to develop a sterilization drug with funding from Michelson's venture philanthropy program. So far, the program has committed more than $14 million in grants to more than 30 approved projects worldwide. The first group to develop a successful product will win the $25 million prize. Michelson Prizes are awarded by the Found Animals Foundation, a Los Angeles nonprofit that seeks "big ideas that help reduce the number of pets euthanized each year in shelters." Philanthropist and physician Gary Michelson founded the foundation. The nonprofit's involvement in the successful sterilization drug won't end with the awarding of the prize. The foundation plans to "guide the product through clinical trials and regulatory approval, manufacture, marketing, and distribution to ensure that the sterilant has the maximum possible impact in minimizing animal shelter euthanasia." Would you prefer a nonsurgical way of sterilizing cats? I'd need to give it a lot of thought and do some research of my own first. The Prize was founded in 2005, 2006. Many people have sent in one shot permanent sterilants. The Foundation refuses to award the prize. Every few months the requirements become more and more impossible. Currently you must invent a new drug which Gary Michelson can patent and sell for profit. This is ridiculous as there are already many FDA approved drugs that will sterilize dogs and cats with one dose. The Prize is just for Gary's ego. If there were no prize, no one would talk to him. No one will ever win. Thanks for your comment. I actually wrote this a long time ago but just moved this blog to blogger. That's why it has a current date. I did wonder as I was writing, though, because I thought there were other drugs that sterilize cats and dogs with just one dose. But I also wonder if the drugs are safe.